How many people can say they’ve had two Food Network show contestants have a cook-off at one of their student housing communities? The College Suites at Washington Square can! 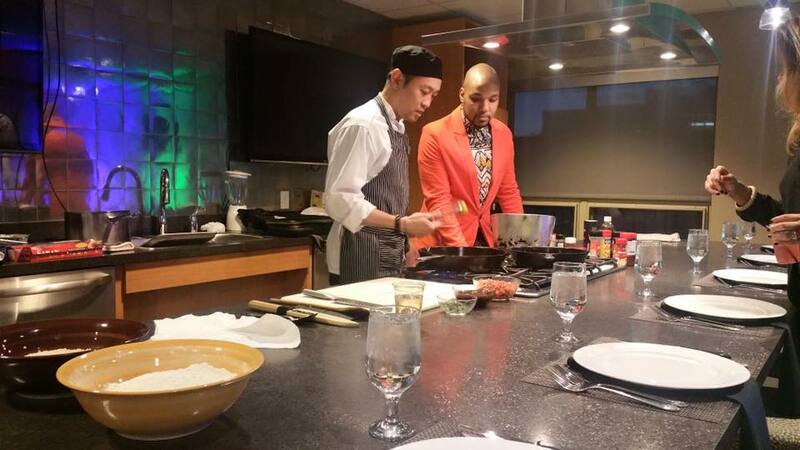 On February 26, Jermaine Wright and Dain Lee from Season 2 of Food Network’s “All-Star Academy” came to College Suites at Washington Square, located in Schenectady, NY, to dazzle the crowd with their impressive cooking skills, techniques, and flavors at a fundraiser for the SEAT Center. It was a grand event – the red carpet was rolled out, there was a professional photo opportunity for all guests, and the night featured a cash bar, silent auction, and delicious food. We must say, everyone cleaned up nicely, too. This fundraiser was for the SEAT Center, the new home for YouthBuild Schenectady. YouthBuild is an organization that offers low-income 16-24 year-olds a program to help them develop life skills, reclaim their education, and get involved with volunteer work, while providing a support system to create meaningful and productive futures. 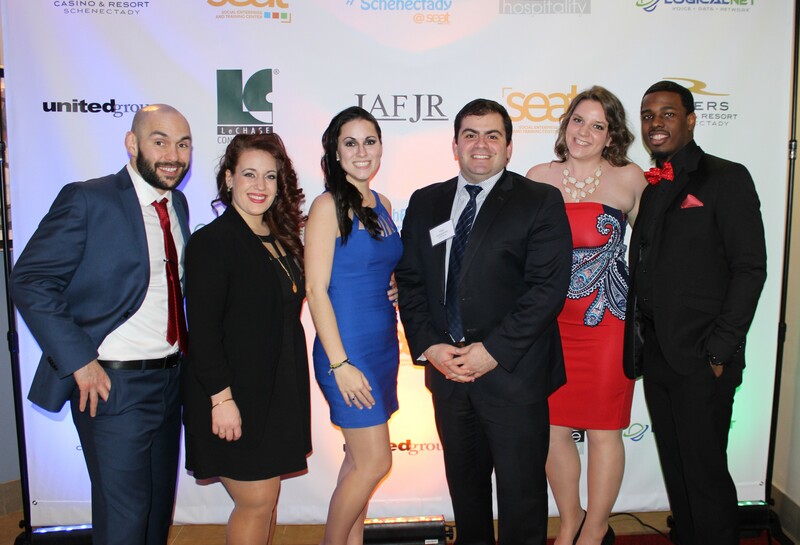 All proceeds generated from the event were put towards the SEAT Center’s general operational costs as well as to help support the influx of new students entering the program. You’re probably wondering how we transformed a building designed to support the daily lives of college students into a magnificent venue with the ability to hold dozens of people, a local food and beverage caterer, plus space for two immaculate chefs to battle head-to-head. College Suites at Washington Square is home to many Schenectady County Community College (SCCC) students. SCCC has a well-known culinary program for students, so when developing College Suites at Washington Square, we took that into consideration. We incorporated a state-of-the-art commercial demonstration kitchen into the design plans that culinary students could utilize for perfecting their techniques. On the night of the fundraiser, Wright and Lee jumped in and worked in the kitchen like it was their own! Wright made a mouthwatering salmon dish that sat atop mixed peppers, kale, and radishes. Lee prepared savory fried chicken served over parsnip mashed potatoes and maple-glazed brussel sprouts. To complement SCCC’s heavily-enrolled music program, we also built a music room for residents, which was the perfect space for the fundraiser’s VIP Hour. Not only did we have Food Network chefs at the event, we had a few political figures attend. Mayor Gary McCarthy and Assemblyman Angelo Santabarbara came to show their support for the community and organization, said a few words, and enjoyed the evening filled with music, laughs, and impeccable company. We also had support from SCCC Vice President of Student Affairs Martha Asselin and Matt Mazzone from Mazzone Hospitality. The SEAT Center fundraiser fostered a dynamic relationship between YouthBuild Schenectady and United Group. Next month, College Suites at Washington Square is hosting “Employer Wednesday” – a volunteer opportunity that provides YouthBuild students the chance to visit a variety of businesses and organizations where they’ll hear people speak about the different fields of work they’re in. The purpose behind Employer Wednesdays is to help stimulate students’ minds to help them figure out what their strengths are and what they might be interested in pursuing when they go to college – to help them find their passion. YouthBuild students will hear from United Group employees who specialize in marketing, finance, development, and property management. To learn more about United Group or YouthBuild Schenectady, visit www.ugoc.com and www.youthbuild.org., respectively.